LUBBOCK, Texas — So, the Texas Tech defense isn’t exactly Big 12-ready. But the offense sure appears to be. Quarterback Alan Bowman set a new Big 12 freshman passing record. Wide receiver Antoine Wesley took a wrecking ball to the Red Raiders’ single-game receiving record. 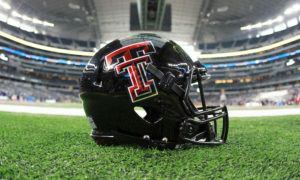 And Tech delivered a 63-42 win over Houston to its home fans at Jones AT&T Stadium on Saturday. The Red Raiders are 2-1 going into their Big 12 opener next Saturday in Stillwater, Okla., against Oklahoma State. Yep, it was the usual Texas Tech theatrics on offense, the sort of pinball numbers we’ve come to expect. At least these numbers came against a better team in the Cougars (2-1), unlike last week’s 77-0 thumping of Lamar which registered nary an impression on the country. In fact, one Red Raider player actually called out the scheduling of the game during the week. There was less to call out Saturday. You had two teams and two coaches (Tech’s Kliff Kingsbury and Houston’s Major Applewhite) who fell from the same coaching tree. Houston may as well have come to Lubbock and served as Tech’s scout team for the week. It would have saved everyone some time. So, of course, both offenses showed up. Bowman and Wesley just turned out to be the headliners. Bowman, the true freshman who took over after McLane Carter suffered a high-ankle sprain against Ole Miss, threw for 605 yards and 5 touchdowns, the yardage being that aforementioned passing record. Bowman benefited greatly from the fact that the Red Raiders barely ran the football in the first half, along with Tech’s tactics against Houston All-American defensive tackle Ed Oliver, who received double-teams just about every play but still impacted the Tech running game in the first half. “He’s come along about like I thought he would. Receivers played really well. O-Line had great protection and he made good reads,” Kingsbury said of Bowman. Even with a better running game in the second half — Ta’Zhawn Henry actually finished with 111 yards rushing and 4 touchdowns — Bowman kept on chugging along, throwing 59 times in the game. Any quarterback controversy? Kingsbury tried to put the kibosh on that, but Bowman’s play means it’s not going away. “I felt going into the season that we have three guys that can lead this team and offense and I still feel that way,” Kingsbury said. Wesley was the beneficiary of Bowman’s staggering day, though Wesley wasn’t the only one with pinball numbers. He just broke Tech’s record for receiving yards, 261, on 13 receptions and scored 3 times. Just another day at the office? Not really. Wesley threw in more than enough acrobatics on about half those catches to leave the crowd enthralled. Even he was a little taken aback with his quickness after the catch and breaking the record. “I’m kind of shocked. But all of those receivers that were here before me that’s their legacy and I’m just happy to build on what they’ve done before me,” Wesley said. Wesley has set career numbers in each of the season’s first three games and Kingsburg admitted that they’ve been using Wesley as an inside receiver before this season, which was the best use of his skill set. But there were great receivers in front of Wesley before this season. Plus Wesley endured a grueling rehab for an injury this offseason, Kingsbury said. Ja’Deion High had 120 yards receiving on 7 catches on his 24th birthday. So while the offense had another typical day, well, so did the defense, and that’s not necessarily a good thing. For the second time in three games the Red Raiders gave up more than 40 points. 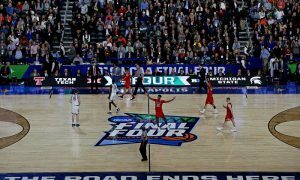 Technically, Houston’s 42 points was less than what the Cougars have averaged their first two games (by only three points), but that’s not exactly that impressive. Plus, we all know what Texas Tech football is all about. It’s about offense. 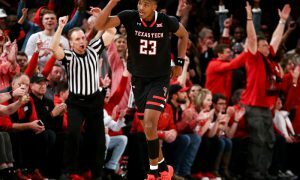 It’s about playing at a frenetic pace and putting up a ton of points, and the Red Raiders did that in spades on Saturday. There were just too many question marks on that side of the ball to start the season to put all the chips in the middle of the table. 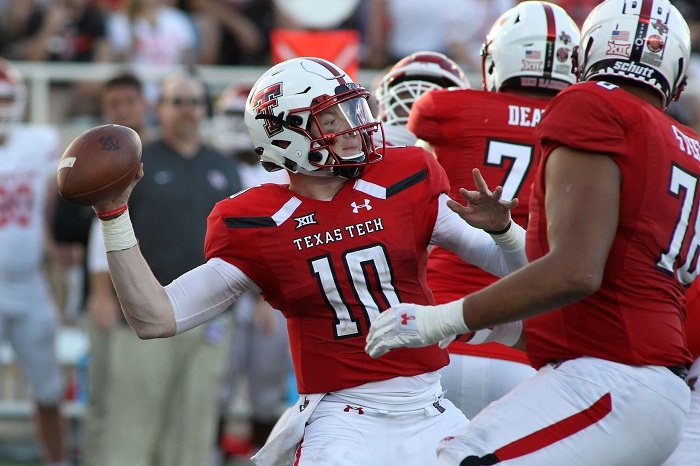 So, now that it appears the Red Raiders have the offense capable of competing in the Big 12, is it time for the defense to follow? Kingsbury’s critique of the defense was rather benign for a unit that gave up 42 points.